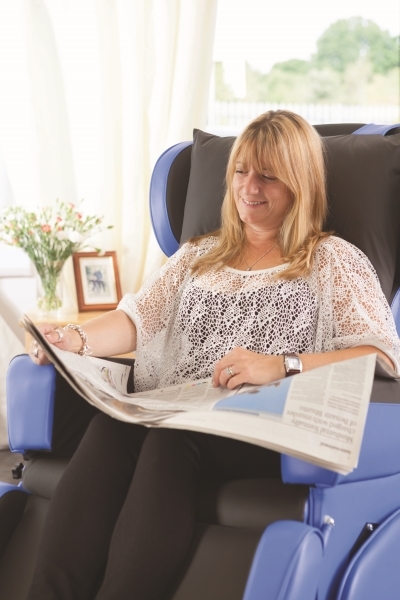 If you’re living with reduced mobility, the correct seating will make a huge difference to your comfort and wellbeing. The average person in the UK sits for 9.5 hours per day, making providing the correct seating solutions a priority. We can supply you with basic riser reclining chairs which come in standard sizes with no or limited pressure relief, but we have seen a huge increase in customers buying made to measure chairs with additional items. We strongly advise our customers to invest in a chair which include features such as pressure relief or supportive pillowed backs, as they would allow for any deterioration in the customer’s mobility. In more complex cases, where clients have maybe been in bed for longer periods of time and need to start sitting out, or may need postural support because of side leaning, Byw Bywyd can provide holistic assessments, sometimes with other health professionals, to find suitable seating solutions. We pride ourselves on finding the most suitable, comfortable, supportive and safe chairs and work with market leaders in the field, including Primacare, Careflex and Direct Healthcare. If you’d like to arrange a home visit from our occupational therapist to discuss your seating requirements, or arrange to visit the showroom for a demonstration, please contact us on post@byw-bywyd.co.uk or 01286 830 101.